In our experience, in addition to using Update Mode as laid out on the above page, the best results come from using the USB updater, possibly on multiple computers in case a given computer is experiencing USB configuration issues. 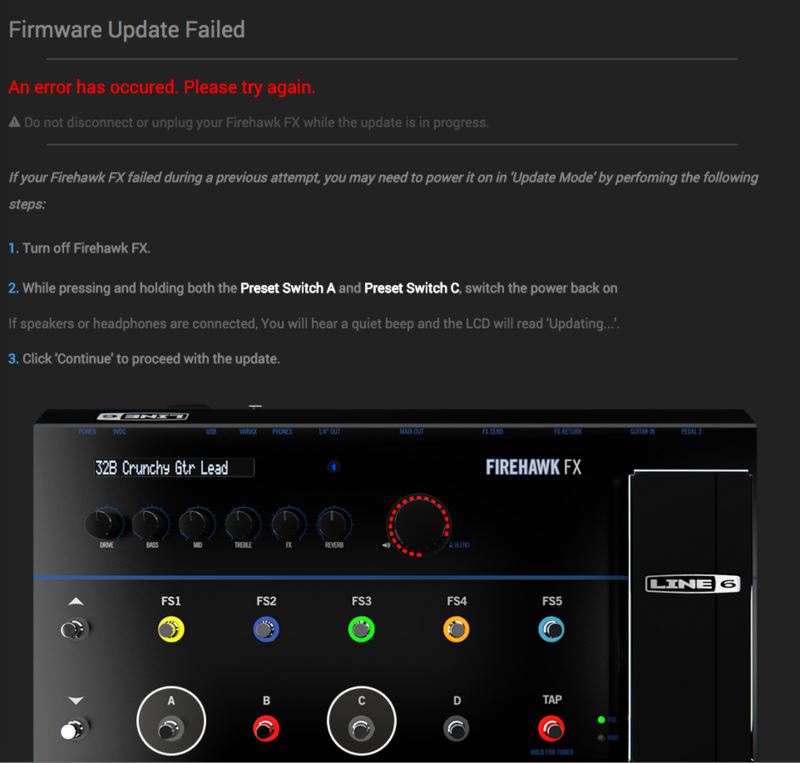 We have seen some users experience update issues with older Firehawk drivers still installed on Windows. Go to My Computer > Device Manager > Firehawk then right click "Uninstall Drivers" make sure you click the box saying "Remove Files" Then unplug your Firehawk, plug it back in and repeat these steps until Windows doesn't have any more drivers installed to assign to the Firehawk. Finally, reinstall the latest driver and let Windows assign it.